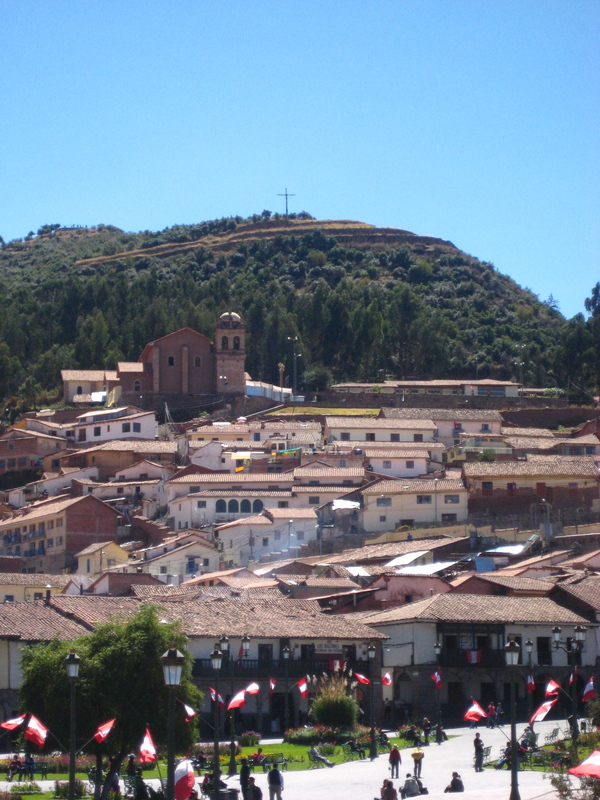 You have two choices when traveling from Lima to Cusco: 20 hours by bus or one hour by plane. We chose the latter. The winter wind slapped me in the face when I stepped out of that plane. 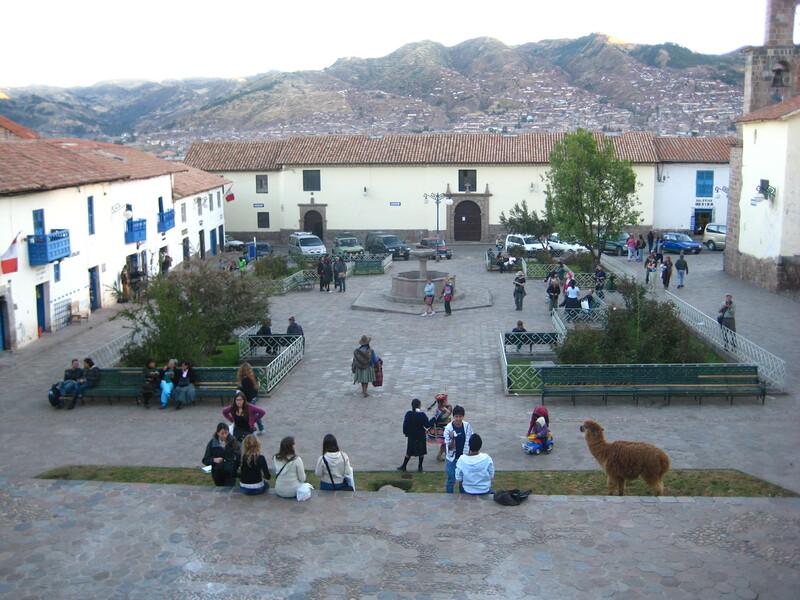 Cusco is high. Way high up (11,200 feet) and colder than Lima. 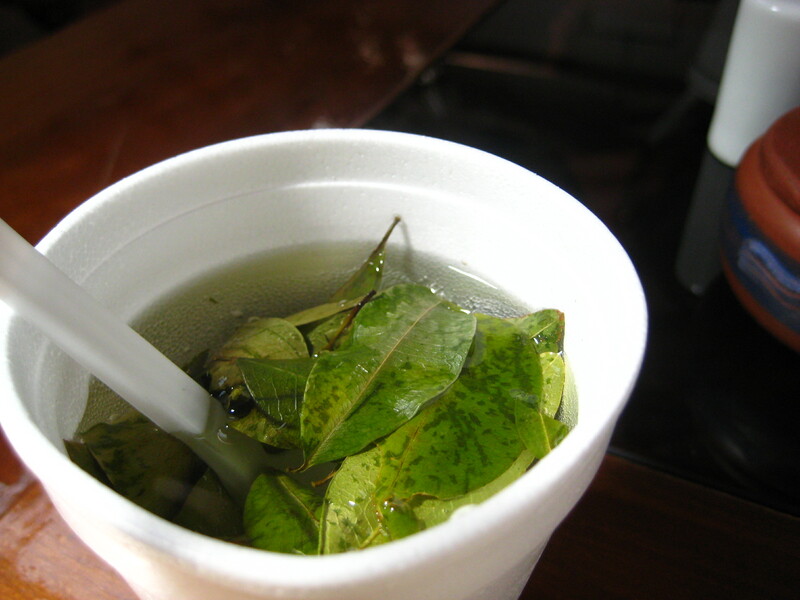 We were welcomed with coca tea to help fight any threat of altitude sickness. And we went out of our way to stay hydrated with water and Gatorade. 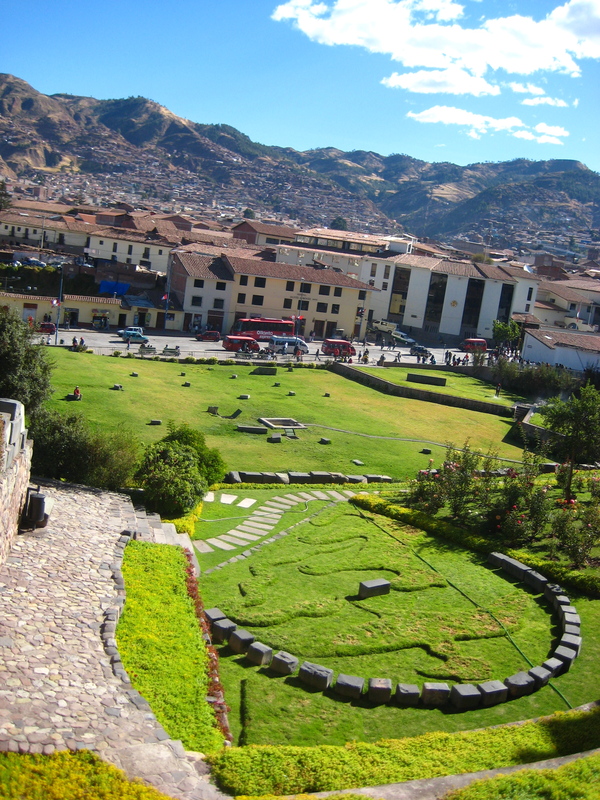 There’s not enough oxygen in Cusco. Your lungs feel it. Climb up a few steps, and you’re out of breath. They tell you to rest for a day and adjust before doing anything. Your body is just not at 100 percent. 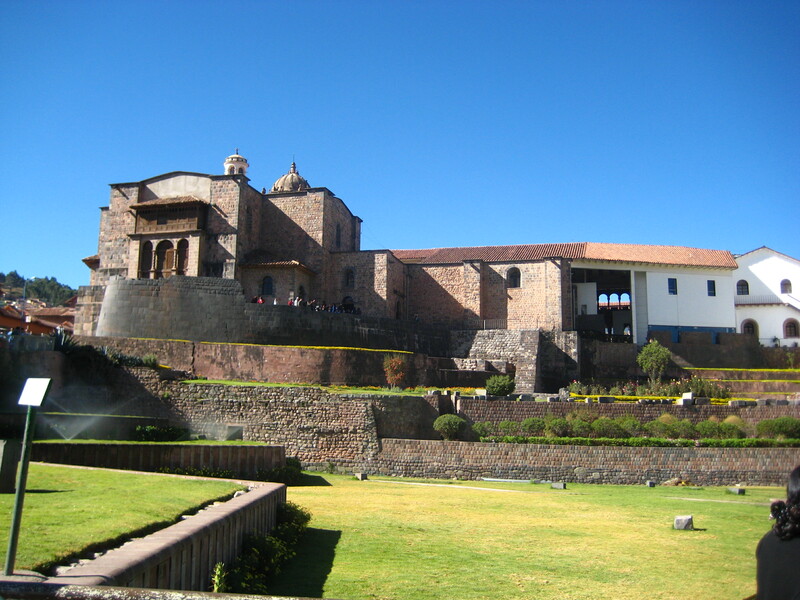 That afternoon we did an intense tour of Cusco. 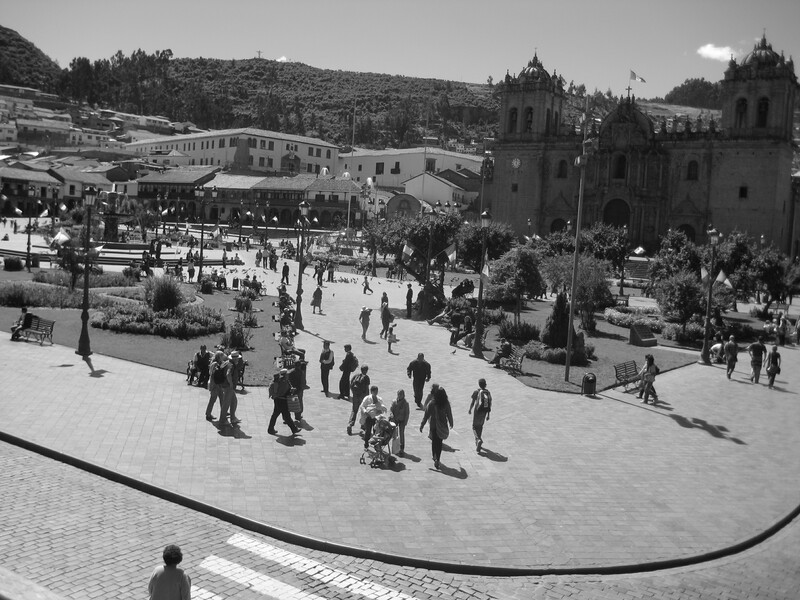 The Plaza de Armas forms the core of the city. After munching on a sandwich and soup on a balcony over the plaza, we met our tour group in front of the Cathedral. Next stop: The Inkan temple of the sun at Korikancha. You can see the remarkable stone work, on top of which the Spanish built their Santo Domingo church. Can you see the condor, puma and snake shapes in the garden? Big figures in Inka culture. 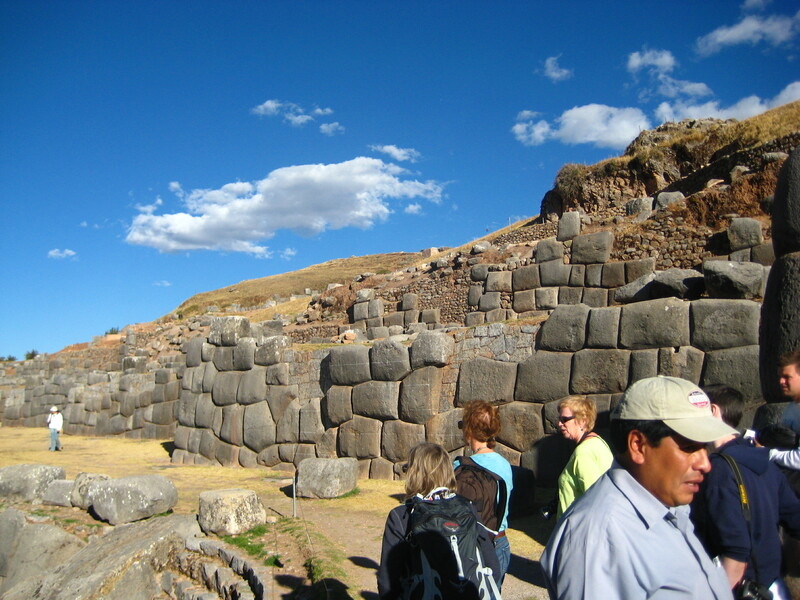 Exploring Inkan ruins at Sacsayhuaman. These things withstand earthquakes. 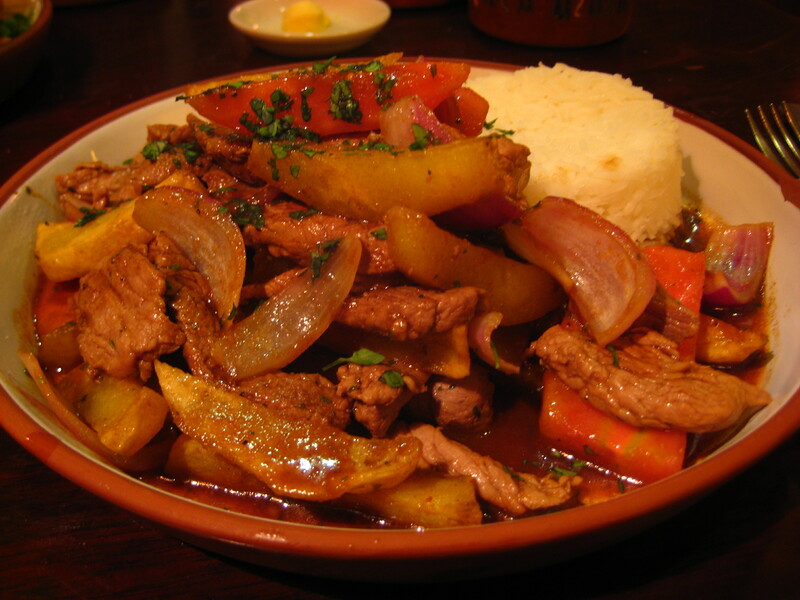 Other stops: Qenqo, Tambomachay, Puca Pucara. I think this was Tambomachay, where a drink from a fountain through the rocks will bestow you with eternal youth. We bought an alpaca blanket and scarves from local vendors here. Bargaining is fun! Vendors swarm every corner, having thought of every little thing you might need and letting you know as much. We stayed at the Rumi Punku, a 3-star hotel on Calle Choquechaka. A lovely place with kind staff and satisfying breakfasts. 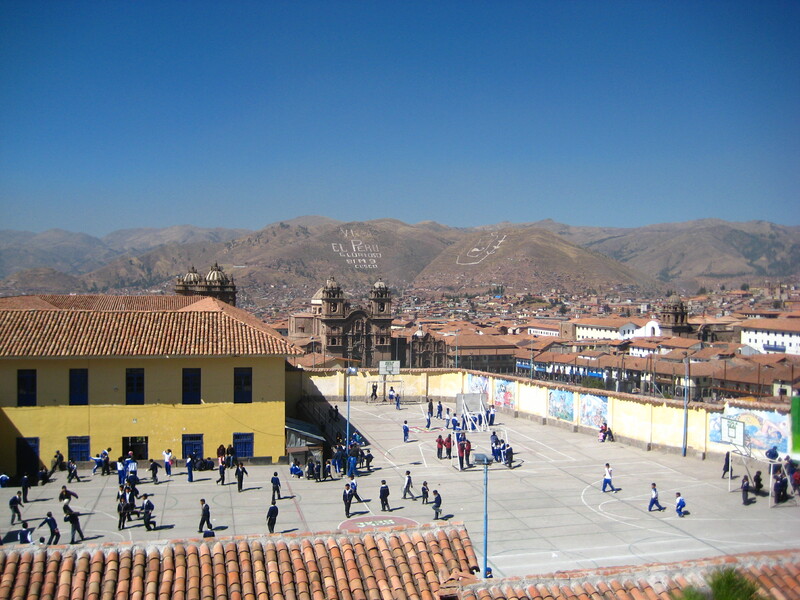 Cusco school kids at recess. You could see over the whole city from this spot. 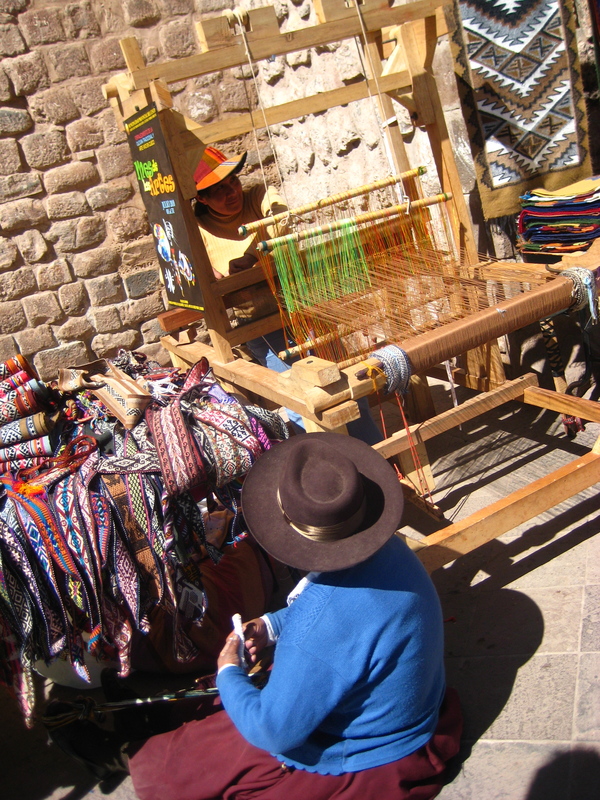 Vendors weave goods in the square. Two different ways! 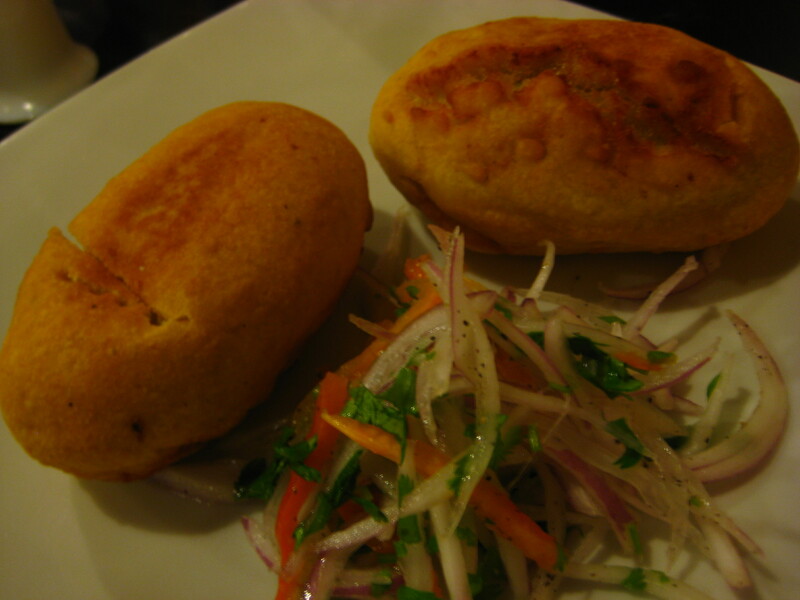 Our favorite restaurants: Ama Lur, Taitas and Mijunanchis. 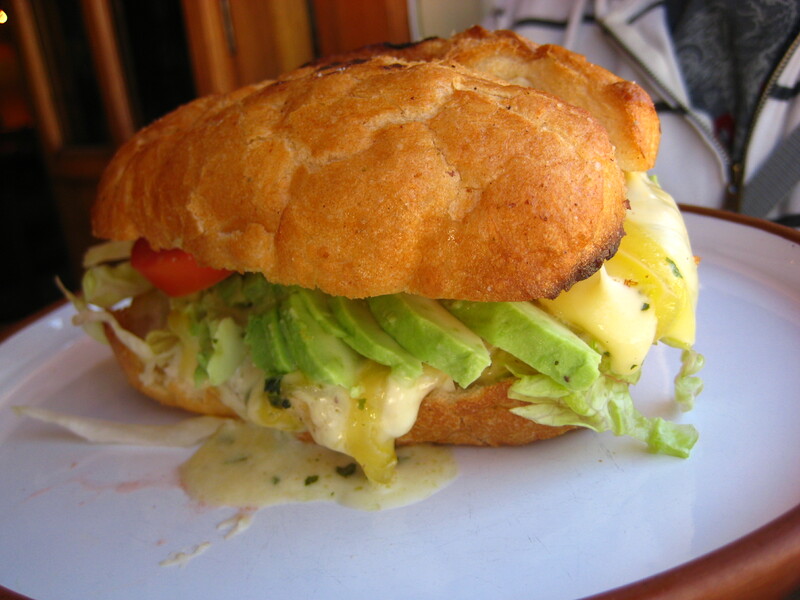 The owner of Taitas had been in business only two days. 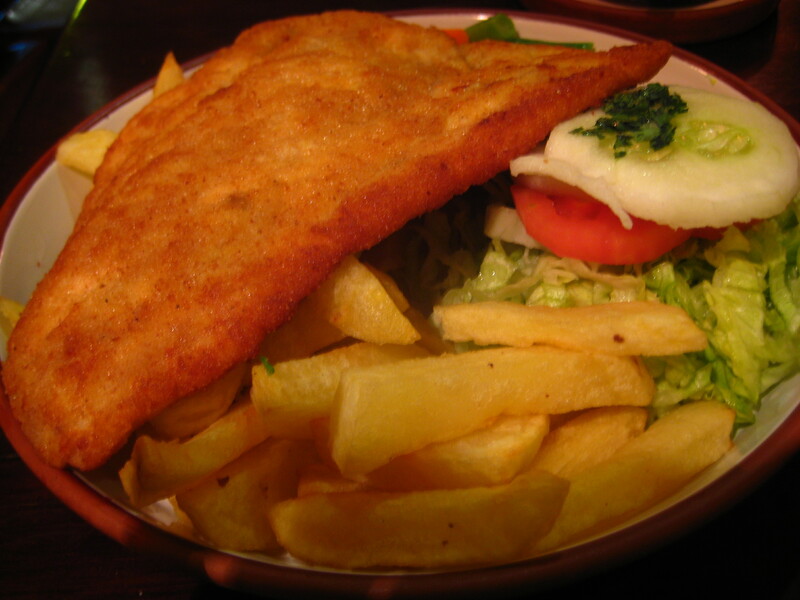 Gnomes with pointy hats and white beards hid in every crevice of his restaurant. 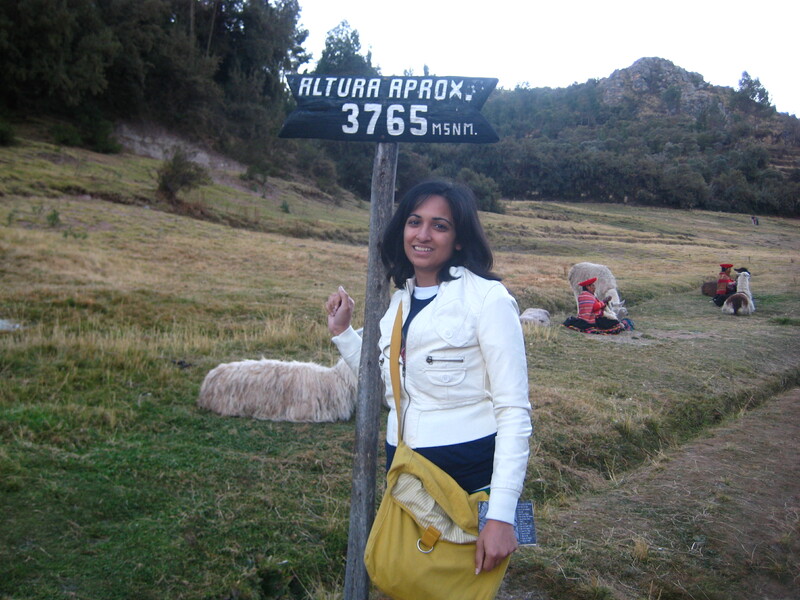 This entry was posted in The Marriage Chronicles, Travel and tagged cusco, peru. Bookmark the permalink. I loved Your way to present Peru and Cusco. Photos are great and they present just it what has interest. Thank You. It’s so exciting to see that someone else enjoyed Taitas too! I was there with my friend the night it opened and our waiter turned out to be the owner – a very nice guy. We couldn’t get enough of the place and went back two more times! The restaurant has great decor and music. 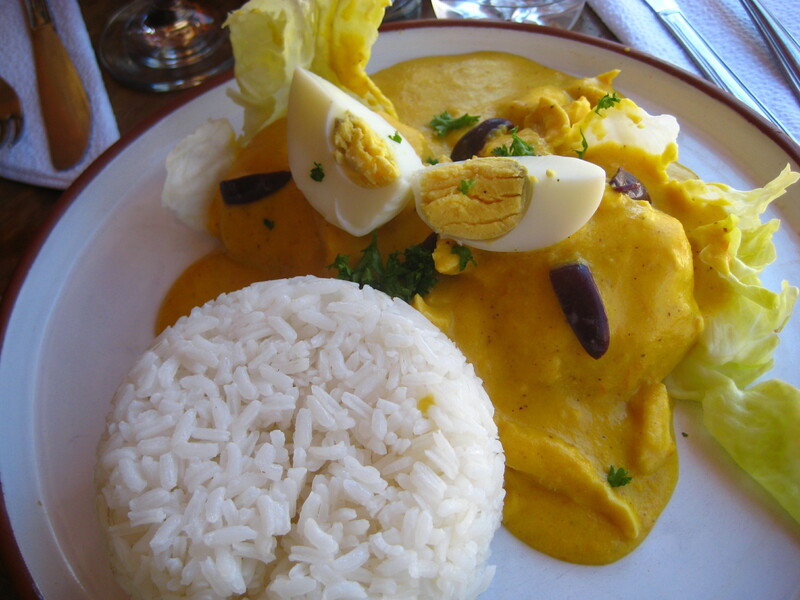 They have traditional Peruvian dishes (sopa de quinoa, aji de gallina y lomo saltado) and a house special (pollo con salsa de maracuya sobre risotto) that was unbelievably delicious, all for a reasonble price. Great photos! @ec Yes, the owner was great and had an interesting story. All the food was delicious! I’m sure Taitas will do very well. Thanks for your comment.